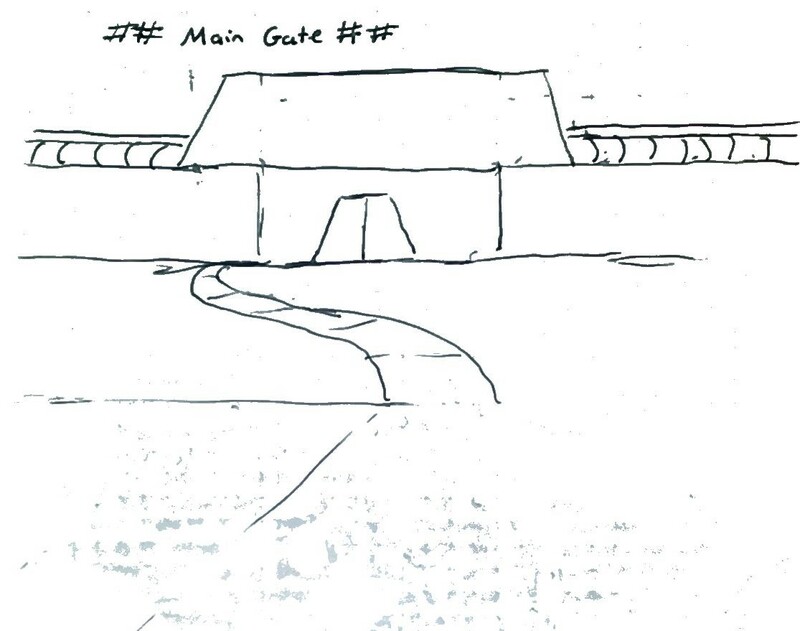 I'm not that great at drawing, that's supposed to be the front main gate. The "conduit" is actually the transport tube that goes above the gate. You are supposed to be looking at it from the market entrance, but I didn't sketch that in. It's at a distance and uphill. 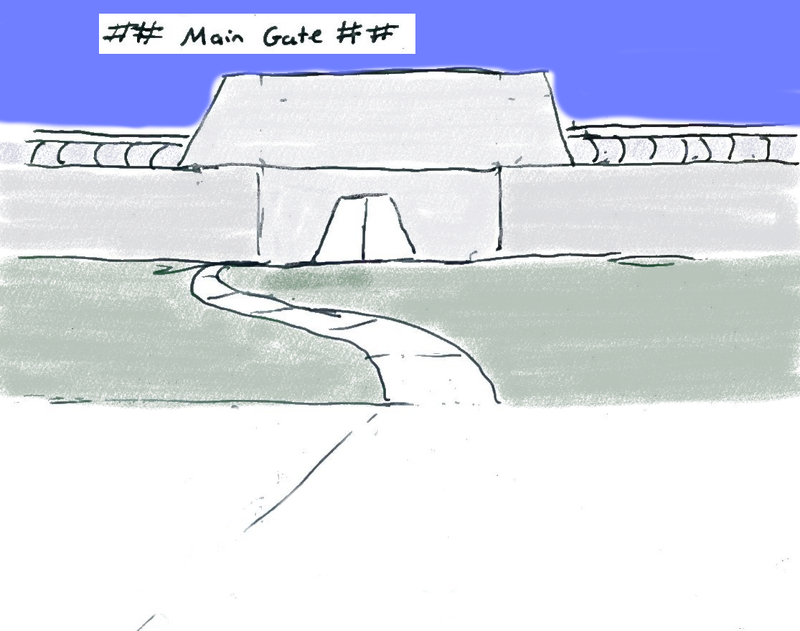 I ended up coloring it in with Gimp so that you can see the difference between the city wall, the sky, and the ground. What you see is all above ground, the generators are massive and sit much lower than the bottom of the wall. If you were to go by the generators, there are openings to the mausoleums where the Natisiens lay their dead. Fortunately, air filters keep the smell from reaching the gates.